Americans enjoy spending time outdoors. A new survey by Harris Poll for the National Association of Landscape Professionals conducted among 2,034 U.S. adults (ages 18 plus), finds that three quarters of Americans (75%) feel that it is important to spend time outside in their yards. Yet, many Americans are not satisfied with the condition of your their outdoor living space. Landscaping can be overwhelming, especially if you are not experienced or knowledgeable in landscaping techniques. Utilize the following design techniques to plan your outdoor living area improvement. The internet is a great place for home improvement ideas. There are numerous sites available to look up specific landscape design ideas. You can even narrow down your results by themed and colored looks. Save these images and when you are ready to renovate your lawn space, combine them into a realistic project. Divide your options into highly desirable and lowly interested categories. Pay attention to posters and their comments on the difficulty and prices of these outdoor projects. There are a couple different ways to create digital landscapes. You can create one on your computer for your visual needs. You can also work with a professional lawn care company that also specializes in landscaping. Many larger lawn care landscaping companies have the ability to create digital landscapes of your project. This allows you to visualize the final product and to fully understand what you are paying for. It also allows you to make individual changes, either for preference or budget concerns. The digital landscape project is a highly interactive process that allows the homeowner to be a part of their lawn project design. Professional landscapers are familiar with all types of landscape improvements. They have worked with many different types of lawns and are able to provide the best recommendations for upgrades. They are also familiar with non traditional lawn upgrades. 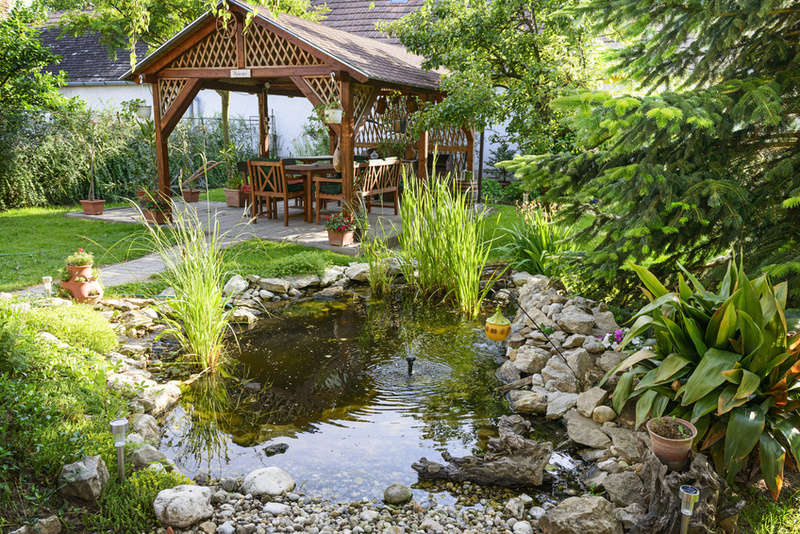 The majority of homeowners upgrading their outdoor spaces are addressing their backyard (64%). The vast majority of upgrades are substantial (58%) i.e. paving, new beds, building and upgrading structures, or a complete overhaul (29%), such as regrading, terracing, or re landscaping. An entire professional landscaping project can be expensive and may not be ideal for some homeowners. A professional lawn care services on existing lawn and exterior features can make the difference between a beautiful outdoor living area and an unusable one. The biggest reason that homeowners are not satisfied with their outdoor living areas is time. Over half of homeowners who are upgrading their outdoor spaces spend six or more hours there per week (51%). Relaxing, gardening, and entertaining are the top three uses of the space. However, many homeowners find it difficult to keep up with even everyday lawn maintenance. Even after you spend a lot of money and time on a complete backyard upgrade, that upgrade will require upkeep maintenance. Otherwise, the trees and shrubs will grow out of control and all of your time, money, and efforts will be wasted. Keep a professionally designed lawn updates with professional landscaping services. If you can keep the area in good condition, it is likely that you will have high ROI, or high return on investment. This means that the properly maintained lawn entertaining area can raise the value of your house, eventually recouping some of the costs of the project. Most homeowners enjoy spending time relaxing and entertaining outdoors. However, not enough homeowners are satisfied with their current outdoor living spaces. You can improve your outdoor area into something that you are proud of, even with little landscaping knowledge. Work with a professional landscaping designer, utilize imaging programs, collect backyard inspiration images, and continue regular maintenance on your upgraded space. All of the planning and work that goes into the remodel will be worth it when you are sitting outdoor, sipping a drink, and relaxing all afternoon.